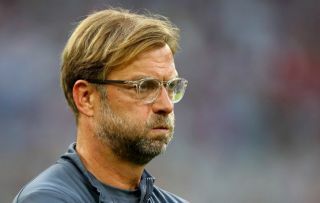 Liverpool face a difficult trip to Napoli in the Champions League on Wednesday night, and Jurgen Klopp will be fully aware of the threat posed by the Serie A giants. Carlo Ancelotti’s men sit in second place in Italy’s top flight after seven games, and have regularly established themselves as the most likely contender to dethrone Juventus in recent years. While they have consistently fallen short, they undoubtedly possess great quality, and particularly with a coach like Ancelotti now in charge with his winning pedigree at the highest level, they’ll be hopeful that they can land major honours this season and beyond. After being held to a disappointing draw against Red Star Belgrade in their Champions League opener, they’ll hope for more against Liverpool who will be out to make it back-to-back wins after seeing off Paris Saint-Germain last time out. The Napoli ace has established himself as a fundamental figure in the side over the years, and has continued to impress this season with five goals and an assist in eight games. Shutting him down on the left flank and when he opts to drift inside will be crucial to nullifying Napoli’s attack, as his vision and ability on the ball makes him a constant threat. A defensive rock in the backline, Liverpool will have to find a way past the 27-year-old as he will marshall the Napoli backline. Capable of playing out from the back too and an obvious threat on set pieces, Koulibaly will undoubtedly have a key role to play against Liverpool. Often a second thought last season largely down to the form of Dries Mertens, the Polish international has certainly been given more opportunities by Ancelotti so far this season. The 24-year-old has responded with three goals in seven outings, and while he also offers a different dynamic in attack with his ability to link up play and hold up the ball as well as his presence and aerial threat, it would come as no surprise if he is used at some point on the night. The Spaniard’s pace, movement and trickery down the right flank is a crucial part of Napoli’s attack, complementing what the others around him offer. Always a goal threat and will lead Napoli counter-attacks too, Andy Robertson will have to be switched on to avoid seeing him prove to be decisive. Enjoyed another impressive season last year with 22 goals and 12 assists in 49 games, but has struggled to be the talisman under Ancelotti so far this season with just two goals in eight outings. Nevertheless, whether if it’s as a starter or off the bench, Mertens has the quality to change the game in an instant with a bit of quality and so Liverpool will have to guard against him making a decisive impact.